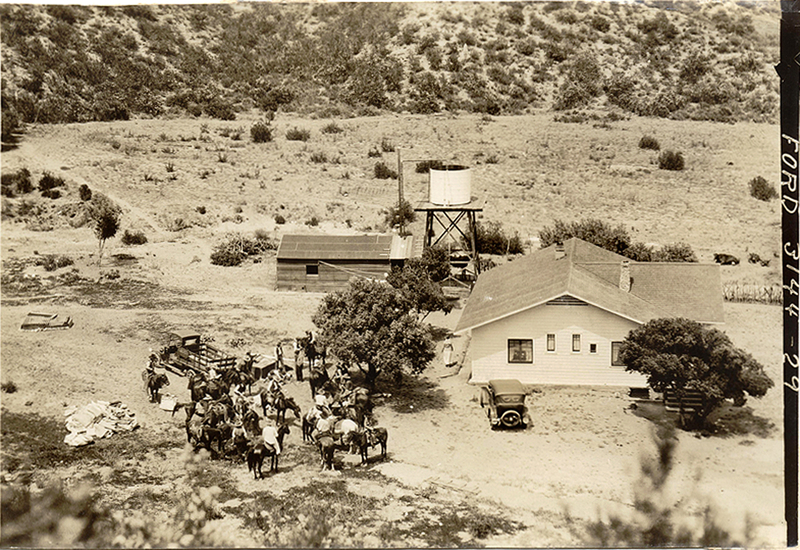 Harry Carey Jr. (Dobe) described this as a John Ford film shoot at the Harry Carey Ranch. He didn't know what film or what year — and neither do we. Let us know if the serial number at right, in the full view, means anything to you. We also don't know which building is pictured. It's not the main Carey house, which was bigger and had two water towers next to it. DC2204a: 9600 dpi jpeg from original print courtesy of Harry Carey Jr.